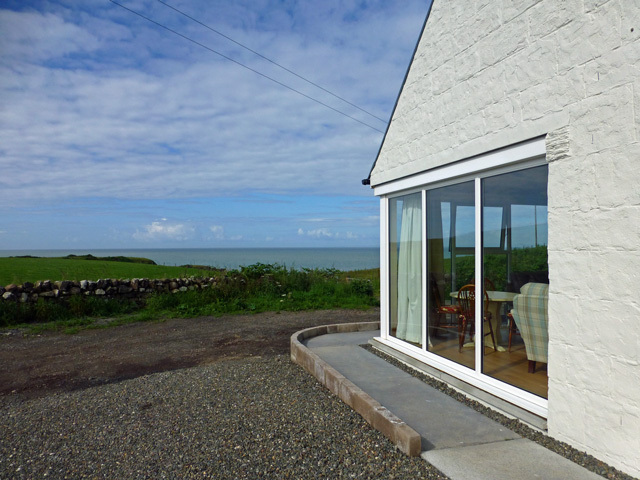 Seascape Cottage is situated in an enviable coastal location just a short walk from Dally Bay. The property which has just recently been completed is tastefully furnished, and enjoys views across to Ireland and the mountains of Mourne. This location is perfect for a relaxing holiday with small rocky sandy beaches within a short walk, which makes this Seascape Cottage ideal for the pet owner. The accommodation at the property is all located on the one level, and consists of an open plan sitting room, dining area and kitchen, a master bedroom with a king size bed, a twin bedroom, and a shower room. Beautiful oak flooring is laid throughout and the the bathroom benefits from a tiled floor complete with under floor heating. The living room and the main bedroom are located at the front of the property and enjoy exceptional coastline views. Outside guests will find a patio area complete with garden furniture and private parking. The owners live in a neighbouring plot and are on hand to help if required. Stranraer is located just nine miles away and offers a good range of facilities for the visitor including a number of shops, restaurants, a supermarket and a Tourist information Centre. Further afield the pretty village of Port Patrick is well worth a visit, the main focal point here is the harbour area with its hotels, bar and restaurants. A particular favourite being Campbell's Fish Restaurant which sells the local catch. The Rhins of Galloway is extremely picturesque and no matter where you go the coastline is not far away, at the southern tip the Mull of Galloway Lighthouse and Vistor Centre are well worth a visit and an ideal choice for a day out. The area is a haven for wildlife and there are a large number of gardens to visit including Logan Botanic Garden and Ardwell Gardens. For the golfer in the family courses are available in Stranraer and in Port Patrick. The immediate area surrounding the cottage is rich in wildlife, such as deer, seals, stoats and weasels and a small herd of wild goats. 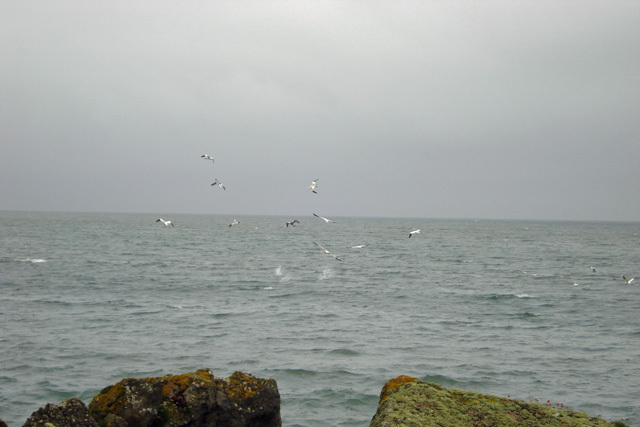 Diving gannets are an experience never forgotten, seals float for hours in the bay, and eider ducks gather in the spring and summer. At Corsewall Lighthouse, a few minutes drive away, basking sharks and porpoise can be sighted. Buzzards and kestrels, among other birds of prey, give aerial displays or hover motionless outside the cottage. Early morning walks will almost certainly be rewarded by close encounters with deer and hares, or the elusive wild goats. Wild flowers are in abundance, from carpets of Spring squill and bluebells, to yellow iris and various orchids. A list is available of birds and wild flowers seen within a few hundred yards of the cottage. 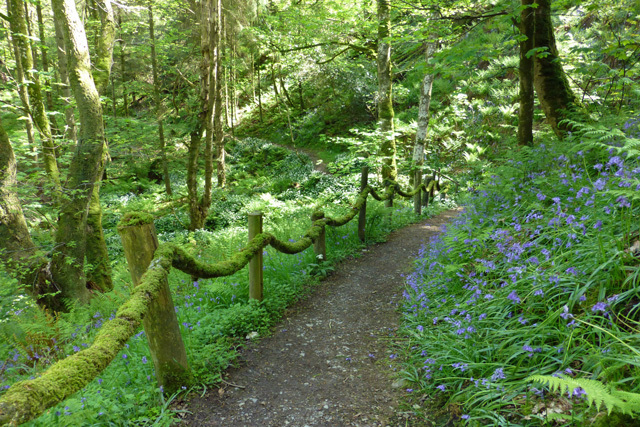 A short drive will take the visitor to Aldouran wetland garden and ancient woodland of Aldouran Glen, at Leswalt. A few minutes further is the Wig, situated on the shores of Loch Ryan at Kirkcolm, where there is a circular walk and bird watching area. Open plan living incorporating the sitting room, dining area and kitchen with under floor heating throughout. Sitting room, comfortable seating, LED Digital TV, DVD, Radio, dining table and seating for four. Kitchen area, electric oven, gas hob, microwave, fridge with freezer box, dishwasher, washer/dryer. Bedroom with king size bed, TV, under floor heating. Twin bedroom, under floor heating. Showeroom, shower, wc, whb, heated towel rail, under floor heating. Outside patio area with garden furniture. A maximum of two pets are welcome at the property. Newly built property tastefully furnished throughout. An ideal base for exploring the Rhins of Galloway. A cosy cottage with everything you could need for a break away from it all. 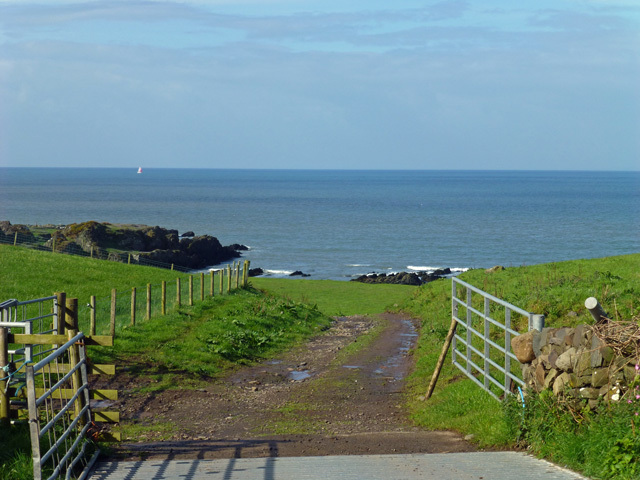 Fantastic sea views over to Ireland and great walks directly from the cottage. We were made very welcome by the owners Chas And Jane, who live nearby but are never intrusive. If it's a relaxing break away from it all you're after then this is the one. The cottage lived up to our expectations. Jane and Chas gave us a warm welcome and then left us alone to settle in but were around if we needed anything. Although it was February we saw a hare and some deer on our first full day and Eider on Loch Ryan the next day. We visited the lighthouses at both ends of the Rhins, had a walking tour around Stranraer and a lunch in Portpatrick. There are some nice gardens a short drive from the cottage but most are closed in February. It was great having the sea view first thing every morning and there was no light pollution in the evenings so the stars were easy to see. 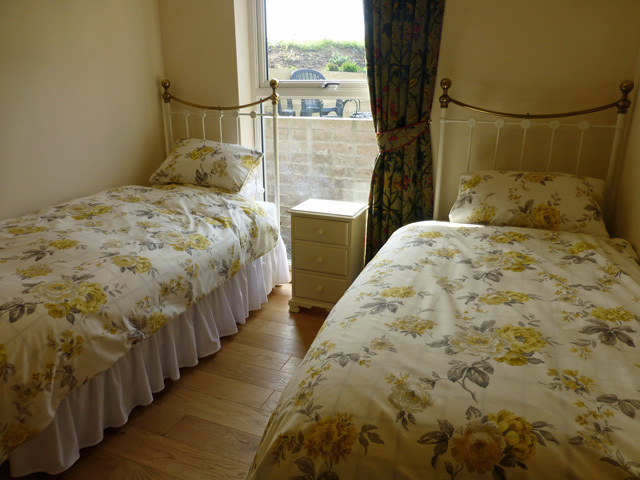 A most enjoyable new year break in a delightful, cosy, well-equipped cottage with the seashore not far from the door. Owners Chas and Jane gave a great welcome and I then had all the privacy desired. Great location for exploring Galloway. Idyll location for this well maintained and beautifully equipped. If you want wild parties or shopping malls stay away,however if you want bird life, wildlife and scenic beauty this is the place. I'm not a wildlife expert but even I saw seals, red kites, buzzards and numerous small birds. The owners have a charming mix of helpfulness, knowledge and respect for your privacy. Seascape cottage was just fantastic. So well equipped and the owners were so friendly and kind. Just the kind of isolated spot we love with everything we needed. I have done cottage holidays for years, but this has to be the VERY BEST. The Peninsul is fascinating and Stranraer a town which has everything one would need. Belfast for a day is so easy and cost effective - well a great day out and at an amazing fare!! Will be back! What a lovely cottage in a wonderful location. Owners met us after an incredibly long and roadwork besieged journey and welcomed us warmly. Lovely people and a great, well equipped cottage with gorgeous views. Will definitely be back and hopefully will be neighbours someday. Thanks for everything. If you enjoy peace and tranquillity, excellent accommodation, and great sea views, Seascape is the place to stay. And even more so if you have dogs with two sandy bays a short trek through an adjoining field. Chas and Jane, the owners, are engaging yet discreet. I have no hesitation in highly recommending Seascape as a base from which to explore the surrounding Galloway area. The cottage is terrific, very well equipped with quality items. It is extremely peaceful and in a beautiful location. The hosts are very friendly and helpful and there is much to see in the area, we loved our time there and hope to return soon. If you are looking for a holiday away from it all with peace, quiet and beauty all around look no further. A most delightful cottage, very well equipped and with first class "Fixtures and Fittings" Great views of a very quiet bay, and, most days, the mountains of Ulster. The whole of the peninsular is interesting and very attractive with plenty of excellent eating places. Further afield, Auld Acquaintances in Girvan served up perhaps the finest Risotto ever! The cottage has very intermittent mobile phone signal for texts, and no cover for speech, which makes for a very quiet stay. Moderate broadband service, and adequate TV (if you really need it). Great chance to switch off and enjoy the peace and quiet, the views, and the very fresh air. On the Bucket List to return!!! Very pleasant welcoming owners, there if needed. Well equipped, clean cottage with everything you could need. Very comfortable beds. Quiet, scenic location. A very relaxing break thank you. This was a fantastic cottage, the views were great watching the gannets diving in to sea most mornings and nights. Chas & Jane looked after us with info of what to see & do. This was well off the beaten track but well worth the stay.The owners have thought of everything for the cottage. Wonderful great cottage in fantastic landscape. Nice contrast between the roughness of the terrain and the finesse and comfort of the interior. Everything you could possible need is available at this thoughtfully crafted home-away form home. Excellent located to visit the many beautiful gardens, castles, parks and great nature of the Peninsula of the Rhins of Galloway. 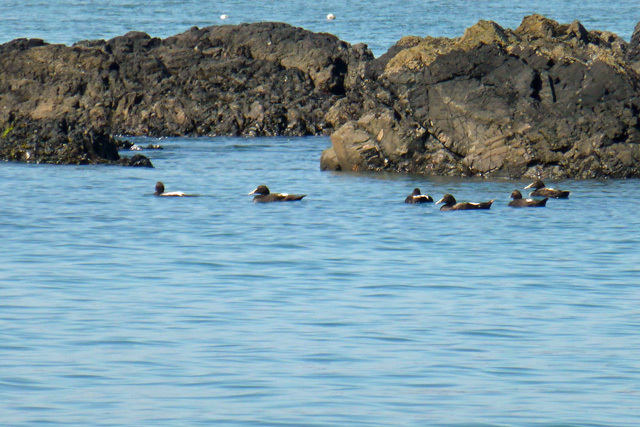 We have seen many beautiful birds, seals, deer and other wildlife during our stay. Very nice tearooms and some good restaurants in Port Patrick and Stranraer. Very friendly owners which are helpful if wanted but are very aware to have you keep your privacy. We loved our two weeks here! Seascape's just the right term for the amazing view you have from this cottage. Also, very nice build little house, clean with tasteful furniture and a pretty well and thoughtful equipped kitchen. If our path leads us back to Scotland some day, this cottage would be our number 1 choice, we had a great stay there! 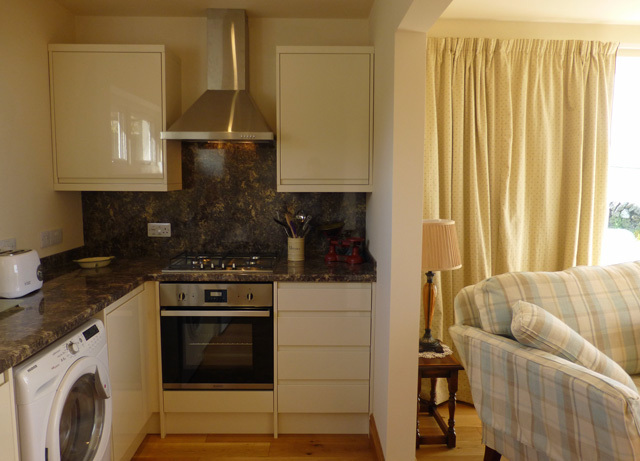 This is a lovely well equipped cottage in a great location to have a relaxing holiday. The owners are very friendly. My only concern being the lane down to the cottage. It is very uneven and rough and could do with some attention. Superb in every respect. Great position, fantastic facilities and friendly owners. probably the best holiday cottage we have stayed in. The cottage is off the beaten track in a quiet location, within minutes from the sea. A lovely outlook at breakfast. Owners near but unobtrusive - there if you need them. They welcomed us warmly. Cottage very well equipped and cosy. It's all in the name and all about the location. We spent a week at Seascape Cottage and loved every minute. As soon as we saw the location, just a couple of minutes walk from the shoreline we were happy. We were warmly welcomed by Jane & Chaz, who live directly behind the cottage, but were never intrusive. The cottage had quality fixtures and fittings, comfortable sofas and beds and is warm (there is a brilliant heating system), the wonderful view out to sea changes with the weather. A major factor for us was how dog friendly the cottage is and without too many rules; throws, extra dog beds and bowls are provided. We had some wonderful walks just exploring the seashore in either direction. We saw deer and a hare from the cottage window and watched gannets diving in the sea with the binoculars provided. All in all a wonderful place for a very quiet, get away from it all, relaxing holiday. Cottage is perfect everything you need is there and where it is situated couldn't be any better great weekend the weather was kind which made it even better. Views are perfect. This is my third visit to the cottage wouldn't dream of booking a different one it is so perfect. Great holiday stay. We were looking for quiet and we got it. The views over to Ireland were awesome when the weather allowed. We arrived just in time for storm Ophillia and we enjoyed that very much (we love storms) had a power cut and be warned no light pollution so it was DARK! On clear nights you can see the milky way as it is so DARK that was an awesome sight. Plenty to do in the area with some great food outlets to done at. The Cottage is a home from home with every comfort you would look for and berry comfortable. The under floor heating is a bit too efficient so be warned as the house takes a while to Coll down as we discovered after someone turned the thermostat up too high! The only visitors we had were the birds and a Hate that came past the house same time each day. The owners are directly behind the Cottage but once they had welcomed us in they left us to it but we knew we could call on them if needed. Very nice couple and very genuine. We had a great relaxing time and yes we hope to return for another relaxing stay. Just returned from a lovely week at Seascape. So quiet and peaceful, did a few fabulous walks from the cottage. The cottage itself was immaculate, cosy and very well equipped. Chas & Jane were really helpful if you had any questions. Definitely recommend fro those who want to get away from it and appreciate beautiful scenery. Seascape cottage was truly a home from home and Chas and Jane have thought of everything in making it so. The setting was superb and the wildlife around the cottage lived up to all the descriptions. Rain, Sun and wind, no matter the weather the scenery is dramatic and ever changing. A delightful 'get away from it all' holiday and we can't wait to return. What a beautiful, comfy cottage everything we needed including bed /bowls and towels for Stella and Scampy. Sofa's were so comfy to crash out on after long walks!, Jane and Chas have thought of everything, they were excellent hosts nothing was too much trouble and very informative, close by but not intrusive. 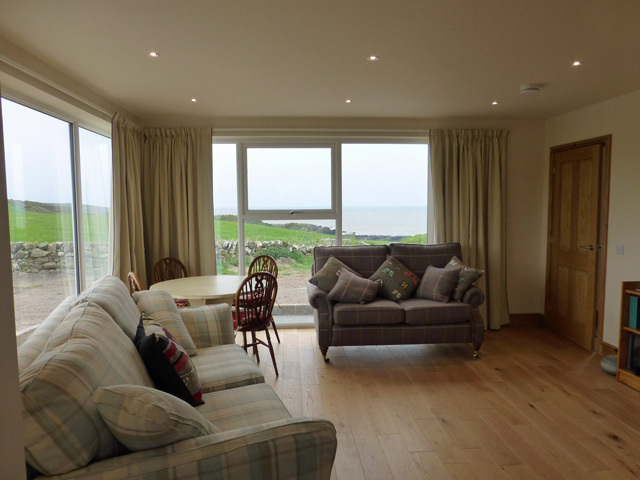 Fantastic views, plenty of wild life, great walks, and the beach only minutes walk away. If you want isolation peace and tranquillty this is the place for you. Shopping only 9 miles away so not too far. 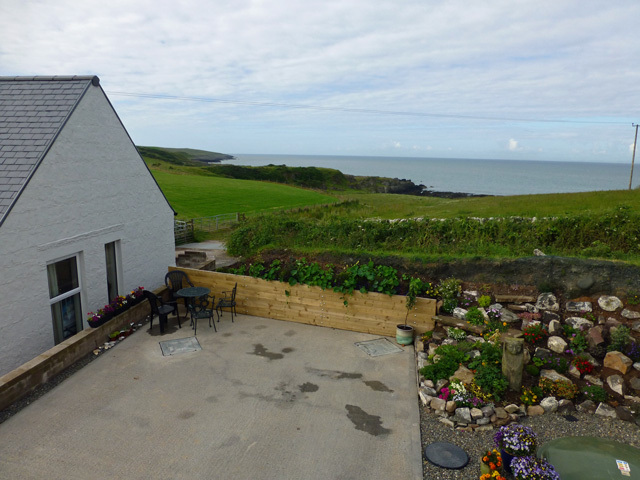 Our stay at Seascape cottage was what we wanted, isolated but within reach (15 min approx) from Stranraer, the owners Chas & Jane have catered for just about everything you'll need. From the cottage to the shore line you have a 2 or 3 minute down hill walk which on the way back you have a slight rise to climb. There are good walks along the shore (bring walking boots). The cottage has no wifi and you need to a short distance by car for a signal, but that's part of the attraction to get away from it all and chill out! Perfect. We had a fantastic stay at Seascape Cottage. 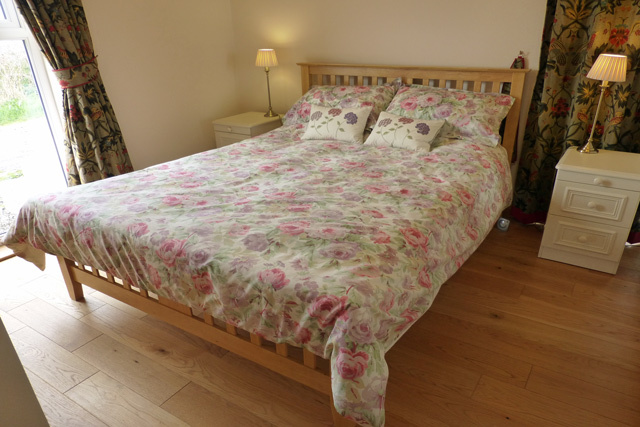 The cottage is very well appointed and finished to an excellent standard, second to none we have stayed in to date. We received a warm welcome from the hosts, Jane and Chas, including a complimentary bottle of wine. Our hosts have thought of everything including providing dog bowls and towels if you need them. A very peaceful spot with lovely walks from the door and also a short car ride away. We will certainly return. We spent 3 nights at Seascape Cottage - a perfect 'get away from it all' cottage. The location was just what we wanted - close to the sea with terrific sea views from the living room and main bedroom. The cottage was warm, very well equipped and very comfortable. And the owners were very friendly and helpful. There's no wi-fi or mobile reception at the cottage, which is fine if you are happy to be 'off grid' - but you can get a signal just up the hill from the cottage. What a lovely cottage and we couldn't have asked for better hosts. Chaz and Jane were warm and welcoming and full of information. They were always the same but also respected our privacy. Cracker their Lurcher was a delight. 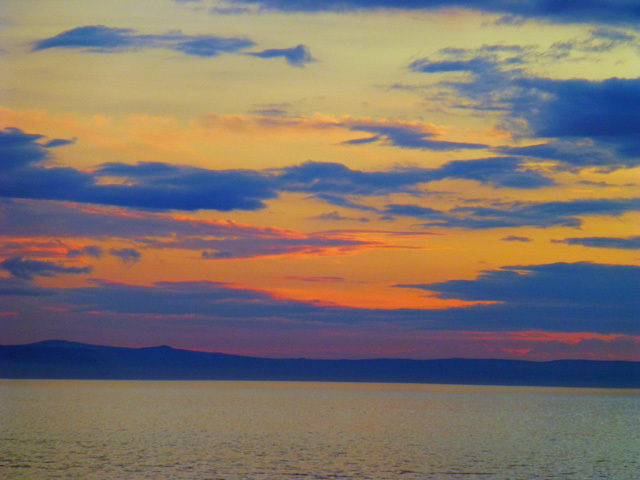 Wonderful weather for our 2 weeks with some spectacular sunsets over the sea and N. Ireland. A treat to be able to see the Milky Way. A great place for buzzards and kestrels. A flock of Lapwings on the way to Portpatrick was a bonus. 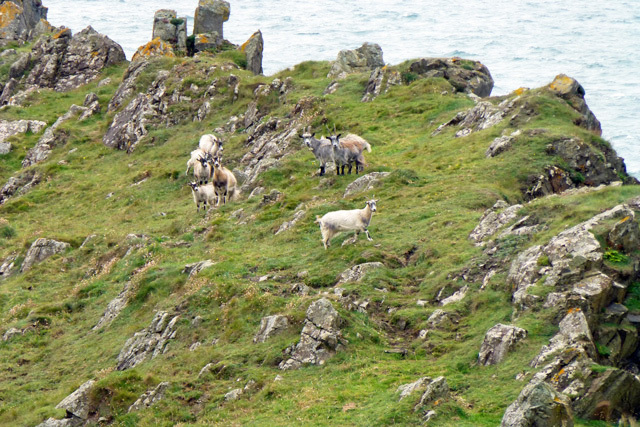 We saw the wild goats just down the coast but failed to see the deer. All in all a magical secluded place. Great place to relax and enjoy the solitude. Really peaceful and fantastic views to the sea and even across to Ireland. 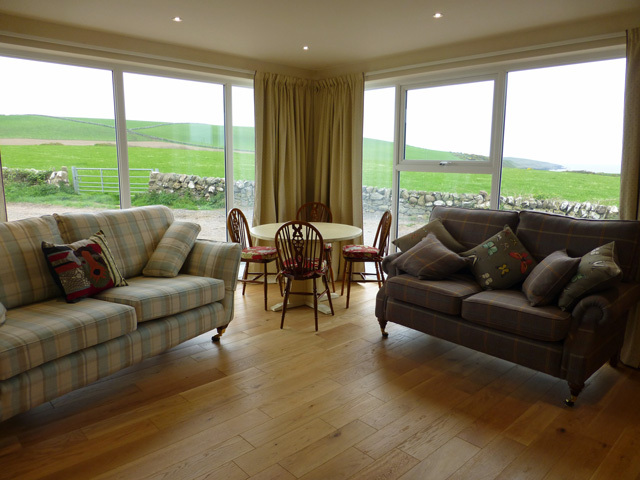 Wildlife is in abundance ( watch the seals from the lounge window ) and fishing is just a walk down the field or a short car ride to Loch Ryan. Dogs welcome and plenty of space for them to have a good walk and many walks available for the humans. The accommodation itself was first class, everything you need plus clean and tidy. Hosts Jane and Chav were very welcoming and so obliging. What a lovely little cottage this is really close to the seaside which, whatever the weather, is beautiful and rugged. The cottage was very welcoming and warm as were the hosts. 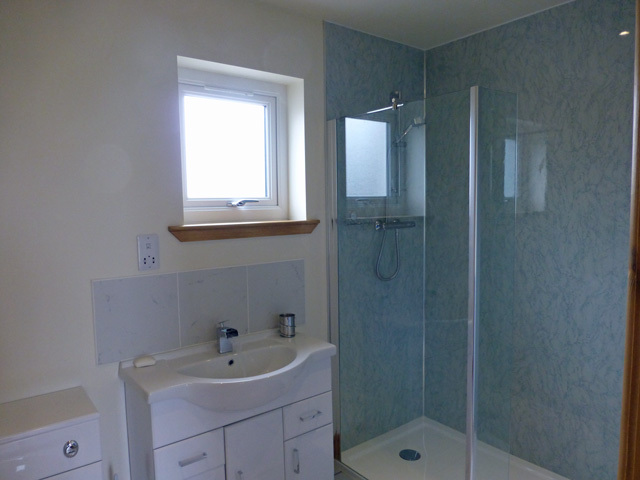 The wheelchair accessiblity in the cottage was very good although the shower not particularly built for a wheelchair. Our dogs were made most welcome and we were able to park our little trailer right outside the house which doubled up as a dog kennel (for our muddy alsation) when we weren't using it to transport my husbands electric scooter around. The lanes and local tracks were great for exploring by mobility scooter and we could even get it on to the beach - great! Just spent a thoroughly enjoyable week relaxing in the home comforts that Seascape Cottage provided. Believe all the previous 5 star reviews about this cottage, they are true. Beautifully maintained, with great sea views. Welcoming bottle of wine and pot of wonderful homemade jam, provided by our hosts, Jane and Chas, got us off to a great start. Fabulous week, good weather was a bonus. we had a great time at seascape. superb cottage,v.clean.very nice friendly owners who give us wine and jam as a welcoming gift. v.thoughtful after our long journey from essex.i would certainly recommend this cottage. please note,owners live right next to cottage,a point which seems to have missed in the photos. Great place to stay.Host's we're friendly and helpful.cottage was imaculate,with a great view of the sea. If you appreciate beautiful and peaceful countryside - then Seascape Cottage is ideal for you! 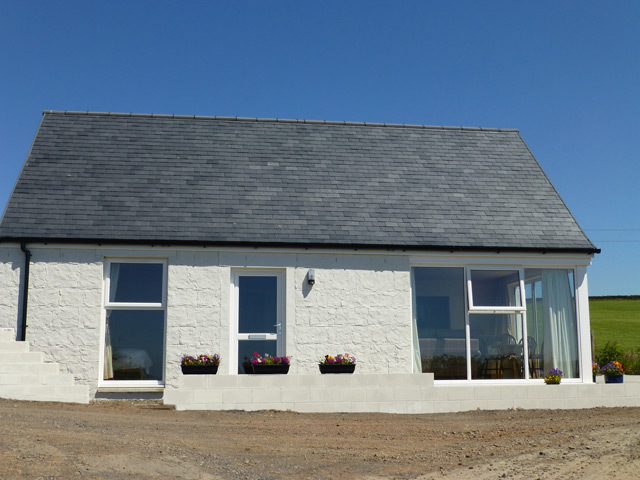 The cottage is located down a rural lane and overlooks fields - with views across the sea to Ireland. Plenty of places to walk your dog and enjoy the lovely coastal scenery. Seascape is very well equipped with modern appliances, tasteful furnishings and is spotlessly clean. The bathroom is spacious and the shower warm and powerful. The cottage owners, Chaz and Jane live close-by and are a lovely couple. They take great care not to 'intrude' but frankly we much enjoyed their pleasant company. The location of the cottage is also well placed for those guests wishing to visit the many excellent gardens in the vicinity. Being warmed by the Gulf Stream these gardens can grow the tender exotic plants that most of us in the UK can only dream about. We would particularly recommend Logan Botanic Garden. Finally, Seascape Cottage not only 'accepts' dogs but 'welcomes' them - so our Bichon Frise had a great holiday too. This is a lovely cottage, with lots of little extras and attention which makes such a difference. Chas and Jane are so warm and welcoming. They are there to help but very discreet as they live behind the property. A peaceful and remote spot but easy to access this beautiful area of Scotland. A perfect place for a winter holiday as the cottage is so arm and comfortable. Would definitely recommend this cottage. We have just returned from our second visit to Seascape Cottage, enjoyed everything again, Jack (our dog) says ditto. Seascape cottage is very isolated and quite scary drive down the hill first time but it was worth it. Such comfy beds, soft towels and really good shower .....oh and the views of the sea were just amazing. We were blessed with good weather too which made it even more special. A really lovely relaxed holiday . If you like home comforts, peace and quiet, good views and considerate owners this is the cottage for you. We had a really lovely week here enjoying almost deserted coastal walks, bird watching and visiting beautiful gardens. It was good to know the owners were close by in case of any emergency because there is no wifi or mobile reception but we appreciated the silence and read more books. We finished the rhubarb and ginger jam. It was delicious. What a gorgeous, peaceful, tranquil place to holiday. The cottage is delightful, down a long wobbly farm track. If you want to get away from it all this is your place, with no mobile or wifi reception. You will be surrounded by an abundance of wildlife to keep you company. 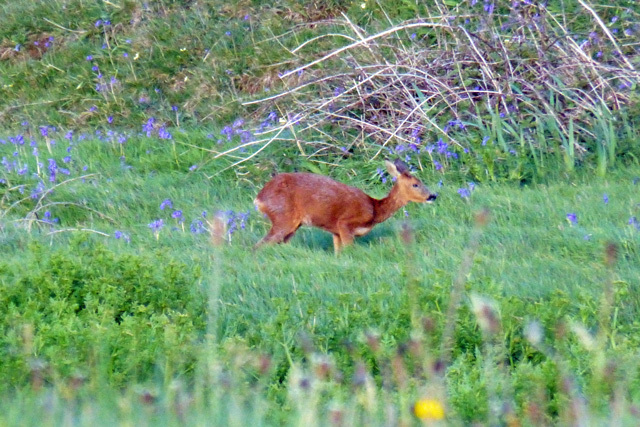 In our one, hot and sunny week, we saw Hares, Pheasants, Roe dear, Grouse, Seals, Otter, Heron, an abundance of colourful little birds with delightfully inquisitive cows for neighbours. Dally Bay and beach is a very quiet little beach, just a couple of minutes walk from the front door, where our little dog enjoyed running around. This is a perfect spot to explore the Rhines of Galloway and surrounding area from. The owners of the cottage live in their own house just behind, and are on hand for advice of the area, yet very respectful of your own privacy. Highly recommended for a restful holiday, in Southern Scotland. This cottage is a gem , tastefully furnished and everything you need is provided.location absolutely perfect the sort of place you would travel to for great walks shoreline and rock pools etc Jane and Chas, owners just could not be more warm welcoming , nothing is too much trouble for them ,we really appreciated their kindness. Very dog friendly we are returning ASAP !!! Very well equipped and comfortable cottage miles from anywhere with fabulous views - the peace and quiet suited us nicely. Would strongly recommend. What a wonderful week , Seascape Cottage is an idyllic retreat , the hosts are very welcoming and your every need is catered for . The weather was very good for the time of year, very windy but that just made the sea view all the more spectacular. All this can be seen from the very cosy cottage . Shame the week ended I would have stayed longer. Can't wait to book another week . This was a great place to stay and unwind. The view out from the cottage is to die for. Owners are very friendly. A great welcome was given and we were sad to leave. One thing to mention is no mobile signal at cottage so great for complete isolation. Beautiful, well finished cottage but it's all about the Seascape. Fantastic views and lovely beaches. If it's a relaxing break away from it all you're after then this is the one. We would happily go back. That says it all I think. Thanks to Jane for the warm welcome. Seascape cottage is one of the best holiday cottages we have stayed in.It was well equipped very clean with lovely furnishings. The views from the floor to ceiling windows give the opportunity to enjoy views across to Ireland (on a clear day) and to observe a vast array of wildlife. It is very peaceful and we would recommend it for those who are want to "get away from it all". Just returned from a wonderful week at Seascape. We were met on arrival by the owners who were very helpful. The cottage was lovely, clean, and had everything we could think of - particularly for my nonagenarian mother. Wonderful view across to Northern Ireland with ferries passing at regular intervals! Highly recommended. An excellent cottage, very well appointed ,set in quiet countryside with stunning coastal views. Very helpful, discreet hosts. HIGHLY RECOMMENDED. Seascape cottage is a new build and as expected is extremely well appointed and very, very comfortable.It is warm and well equipped. 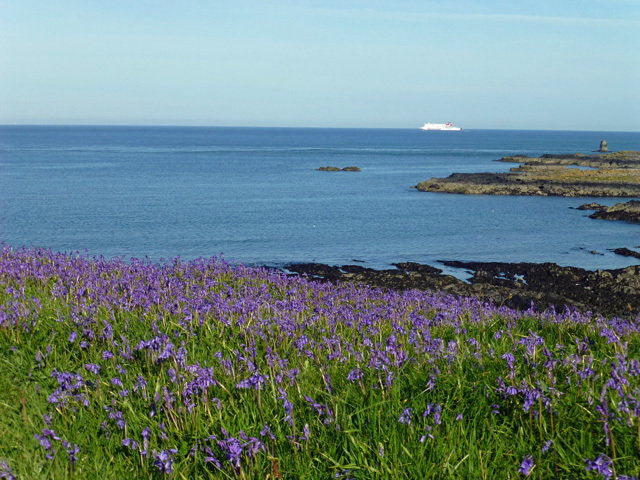 We found it a very good base to explore the Rhins of Galloway and visit the many beautiful gardens and, not to be missed, the Mull of Galloway. I would recommend a trip to Portpatrick which has good restaurants especially the Fernhill Hotel. We were fortunate to have lovely weather. Chas and Jane, the owners, couldn't be more helpful. A fantastic cottage with amazing sea views. Spotlessly clean and beautifully furnished with all home comforts, great for kids and dogs with a small beach 2 mins walk away. 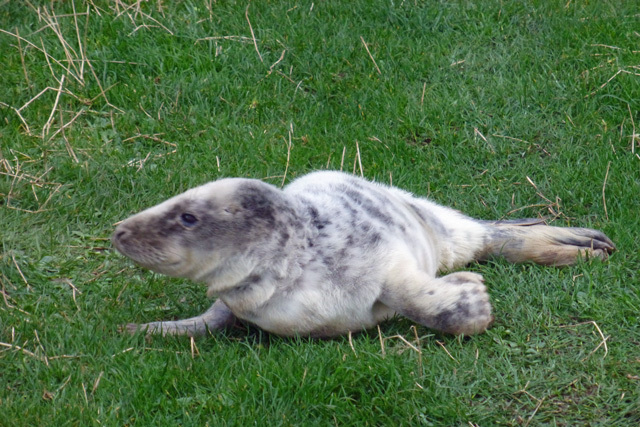 We saw lots of local wildlife including a group of seals just off the beach! Lovely owners who took great care of us; they were very helpful with great knowledge of the area. Loads of interesting places to visit locally, all within a short drive. A lovely place for a very relaxing holiday - we would highly recommend it.